Ever wondered what it takes to conduct the highest quality film transfer? Read this page to fully understand how it works. You will learn the exact process of what the highly skilled staff at the Film To DVD Company do to achieve the highest resolution film conversions. Organize & Number Originals: One of the most challenging steps in any film transfer is to number the reels in the order you want them to appear on the DVD, BluRay or digital files we make for you. Use any current numbers written on the boxes/reels, descriptions of the events, “process by” date stamped on the box or an actual US postage date stamped on the box. Worst case, use a magnifying glass with the film up against a window or light and look at the first foot to see if you can put them in a gross order. Then number the film reels/boxes starting at #1. Number the ones you can’t figure out at the end. Choose Film Process: This is the most important step of any successful film conversion. The process will determine the sharpness and detail level of the video on the DVD, BluRay or digital file we make for you. You will always see more detail from one level to the next. So, if you want the best looking DVD, BluRay or digital file choose the Pro 2K process. If you can’t afford that then go down to the Pro HD process and so on. Most of our customers today choose the Pro 2K or Pro HD process for their film to DVD, BluRay or digital video project and they are happy they did. It may of cost more than they wanted to spend but the feedback is typically “Wow, it was worth every cent”. Choose A Format: Choose the format(s) that will best meet your needs. Some customers only want a film to DVD conversion and that’s it. 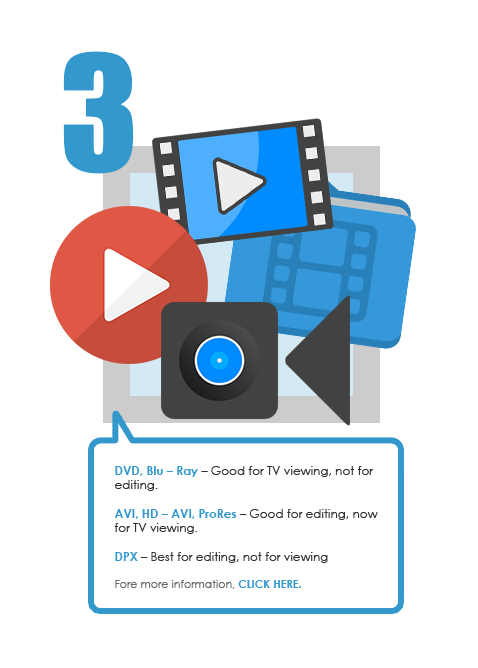 It is true that BluRay or an HD editing file holds more information from the film than DVD but in the end you want to choose a format that best meets your needs. In addition, you can choose more than 1 format to meet your need and your family’s need. For example, you may only have a DVD player but your son or daughter may have a BluRay player and maybe someone else wants to be able to edit the footage themselves. This is why you can choose up to 3 formats for your film conversion project on the order form. 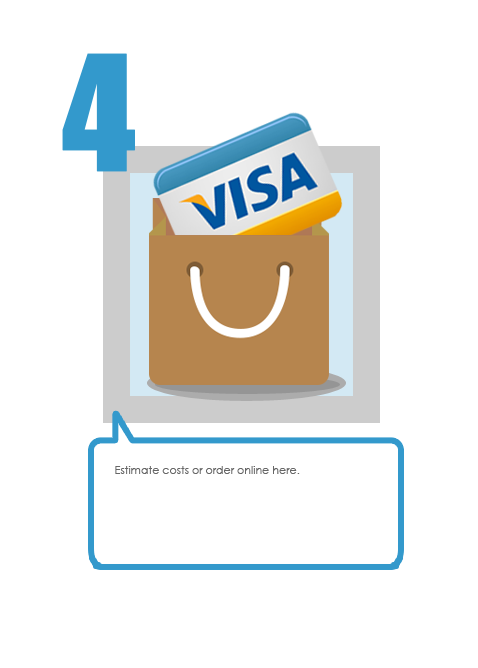 Order Online: Filling out the online order form ensures you we have all the details needed to give you exactly what you want without any errors. This is a big part of our 100% Satisfaction Guarantee. In addition, we use your address you enter on the order form for the return Fedex label. Again, we want to avoid as many human errors as possible to give you the best film transfer experience in the world. Which brings me to my next point. If you are uncomfortable filling out the form, don’t have a computer at home to need help to ensure you make the right decisions we can fill it out for you over the phone. We do have the best customer service in the film conversion business. Ship Originals with Order Form: Once you fill out the online order form you will print out an invoice that details out which process and format you choose for your film to DVD, BluRay or digital file project. In addition, it will assign you an order number which will help us identify your order at every step in our process to ensure it is done correctly. 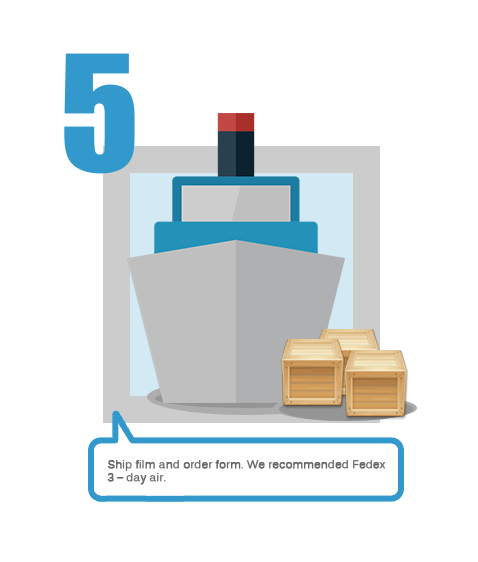 We recommend shipping your film and the invoice using a good trackeble service like Fedex 2-3 day air or UPS 2-3 day air. Share At Home and Online: We keep your film transfer files for 25 days from the date of shipment. This is part of our 100% satisfaction guarantee. 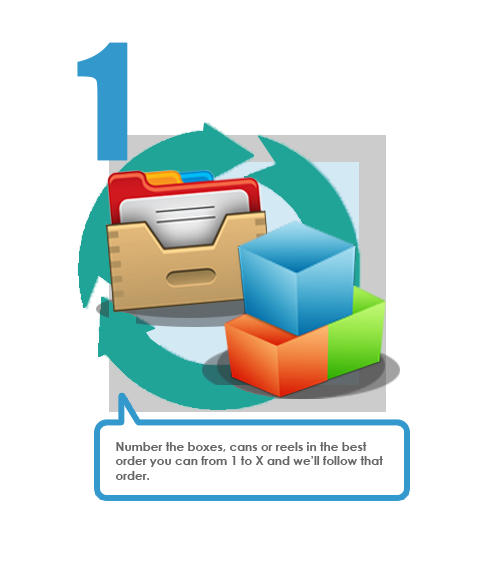 We not only do this to ensure you receive everything back safe and sound but we also do it in case there was any error in the conversion of your film to DVD, BluRay or digital files. In addition, if you chose the Online Video Vault service we will email you a link hosted on our site for you to share with family and friends anywhere in the world.